54" x 84" flat. 1 lb. Be prepared when thunderclouds roll in and spoil your otherwise perfect hike. 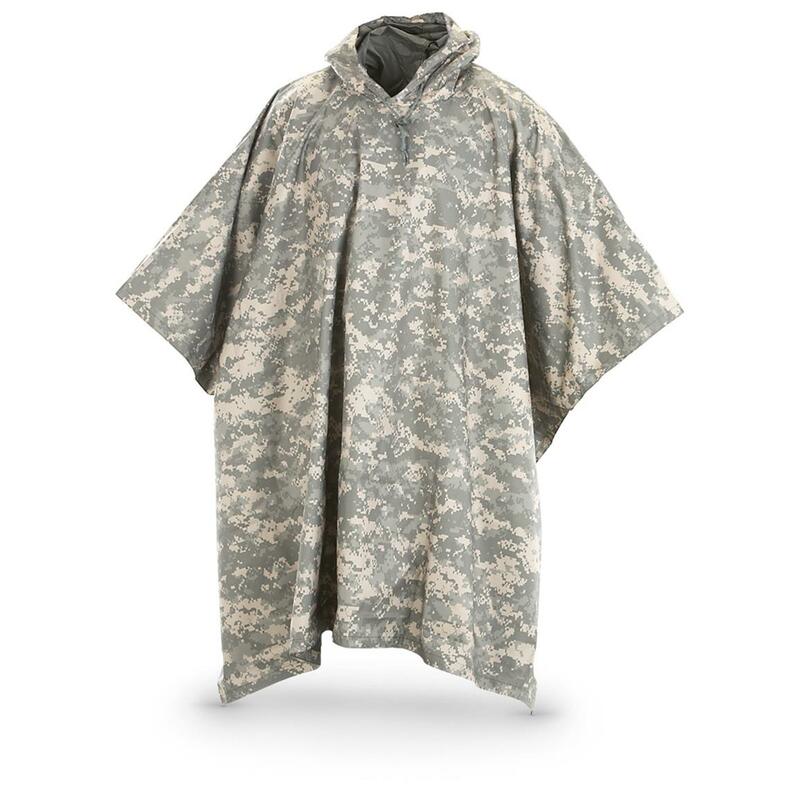 Throw one of these Ponchos in your camping kit, hunting pack, behind the seat in your truck, anywhere you want a little bad weather peace-of-mind. 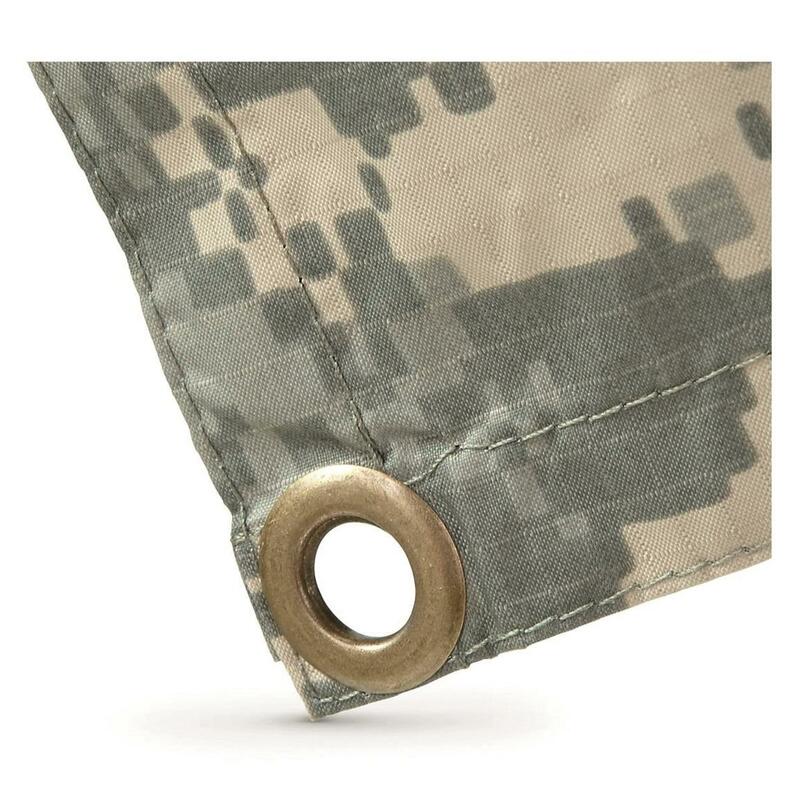 Made to strict U.S. military specs. Weather defense, complete with warm liner. Fortified protection against inclement weather!